The Sunlighte﻿n﻿™ Infrared Sauna mPulse® Series with Solocarbon® technology is the world’s FIRST and ONLY Full Spectrum infrared sauna. Ranked the #1 Doctor & Consumer recommended Medical-grade sauna on the market today. the highest concentration of infrared. 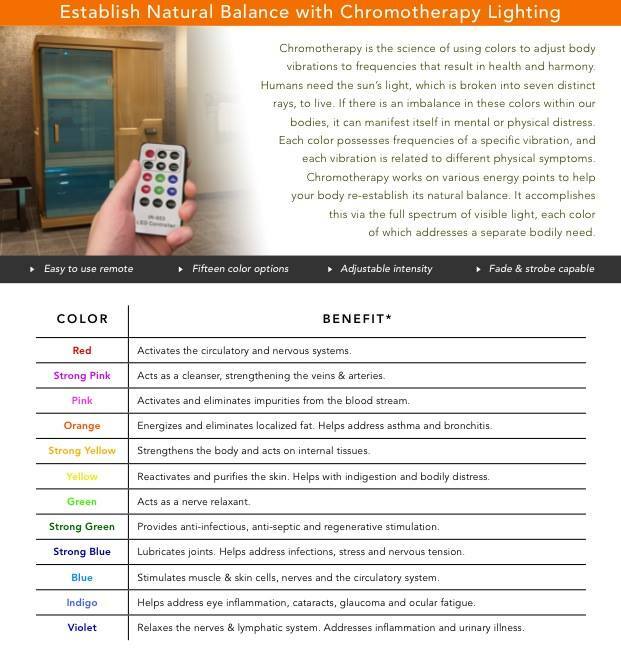 ﻿﻿What are the health benefits of a Sunlighten™ Infrared Sauna? 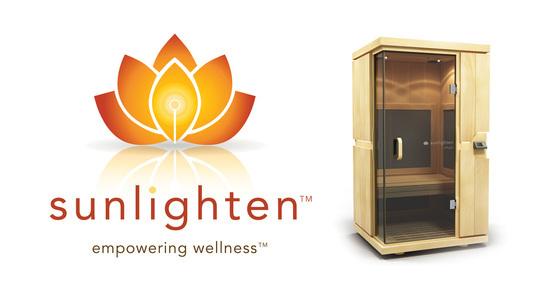 Detox from a Sunlighten™ sauna is 7 to 10 times greater than a conventional dry sauna. In a conventional sauna the average person sweats out 3% toxins and 97% water. In a Sunlighten™ sauna, the average person sweats out 20% toxins and 80% water. Relieve back, neck, and arthritic pain with infrared sauna heat therapy. Researchers studying HRP (Heat Responsive Pain) have observed remarkable therapeutic benefits by using continuous low level heat therapy for treating lower back and upper body pain, all conditions that fall under the HRP classification. Our Solocarbon™ heaters were used in a clinical study with the University of Missouri Kansas City in 2005 and were shown to lower blood pressure from a 30 minute sauna session three times a week. Repeated infrared treatment improves impaired blood vessel functions in patience’s with high blood pressure, diabetes, and high cholesterol. This suggests a preventative role for sauna use for arteriosclosis. Heating of muscles with infrared heat produces an increased blood flow level similar to that seen during exercise and produces the benefits of a passive cardiovascular workout. Body temperature elevation also produces an increase in blood flow. A cardio workout has never been so relaxing! The increased peripheral circulation from our infrared heat reduces inflammation, decreases pain, and speeds healing. Improve your skin’s appearance with regular use of a Sunlighten™ sauna. Open wounds heal quicker with reduced scaring. Infrared heat helps acne, eczema, psoriasis, burns and any skin lesions or cuts. It also reduces wrinkles, making skin look radiant, firms and improves skin tone, and elasticity. Regular use may also help reduce cellulite trapped beneath the skin, lesson the appearance of scars, and helps burns heal significantly.